I love how a vintage or vintage inspired accessory can change a regular outfit into retro loveliness. This turban made me feel like I was channeling 40's screen divas and I felt mawvelousssss, dawwwling! I love hats, hair accessories, brooches I found in thrift stores, beaded handbags and scarves. It's so easy to take a vintage piece and change a regular outfit into something that looks like you came from a bygone era. I broke down some of my favorite vintage inspired pieces that can turn you into a retro babe in a flash. I love this houndstooth mushroom style hat that echos the cool, chic styling of Audrey Hepburn. Wear a little black dress with this hat and you just changed a basic outfit into vintage loveliness. 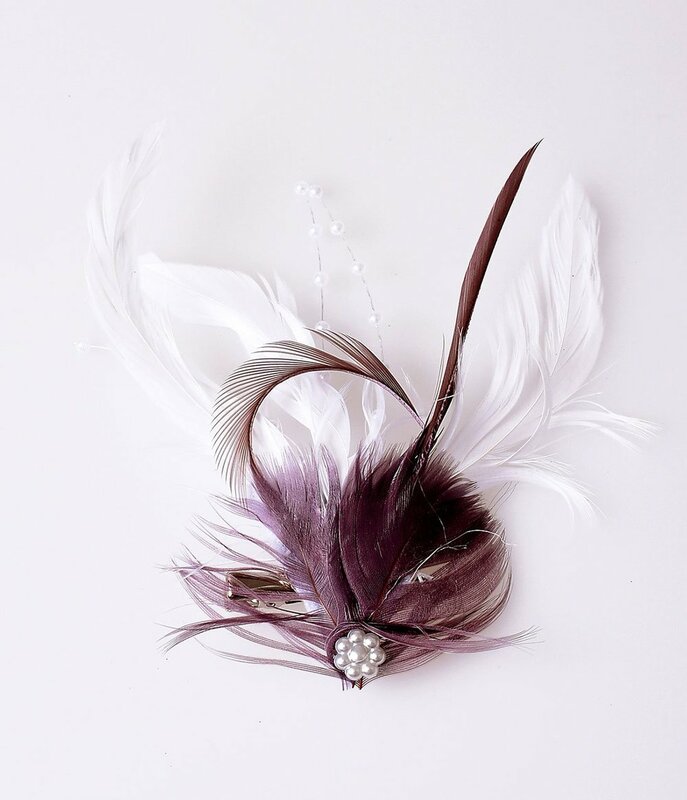 This white and plum feather hair clip is all shades glamour and Old Hollywood elegance. This clip will transport you to the 40's or 50's with lovely, lady-like ease. This black braided sun hat with its asymmetrical cloche brim is perfect to capture those 40's movie scenes with the starlet and her gorgeous luggage, all misty eyed but confident- headed off to a big city with dreams in their eyes. 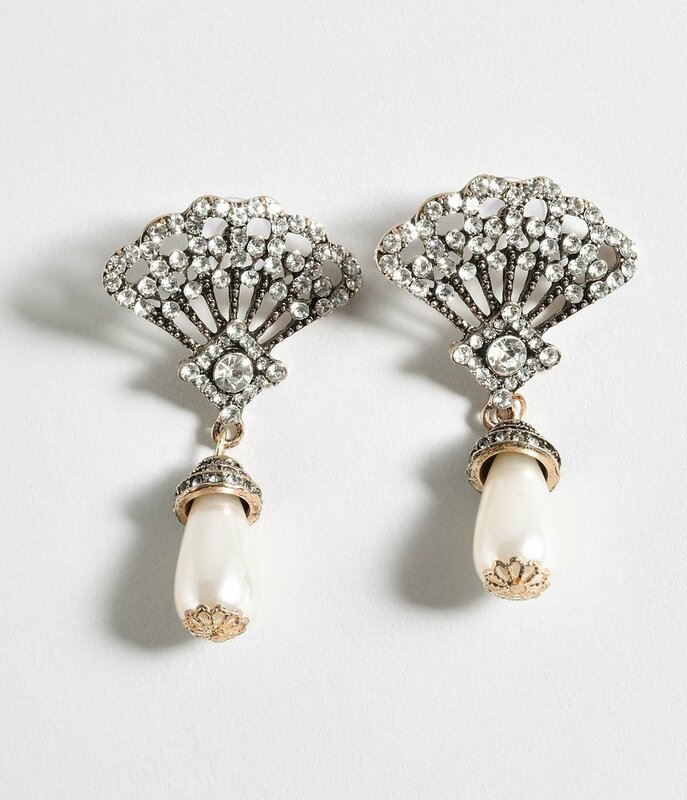 These dazzling ivory drop deco earrings will add a vintage flair to any outfit. These tortoise shell earrings are all funky and perfect to add a little 70's charm to your outfit. These Silver Rhinestone Nouveau Flower Drop Earrings are showstoppers. These beauties will give you instant 1920's flapper glam! 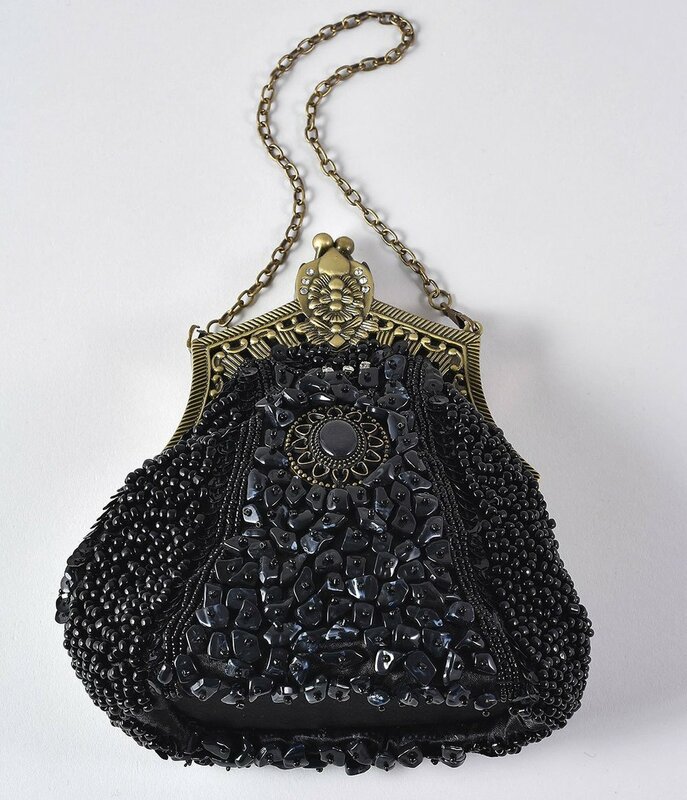 This elegant 1920's beaded bag is perfectly dainty but also a great homage to gin-soaked jazz clubs of yesteryear. This bag is an instant showstopper. This sequined statement bag is also an ode the '20s. With it's shimmer and lavish peacock details this is a perfect bag to set you a glow in any room. Put your 1920's pearls and best flapper-inspired lipstick and you are ready to go! This darling retro Barbie circle handbag is so charming! Whether you are a fan of retro Barbie, love the nostalgia of this 50's inspired bag or both - you'll be looking lovely and so unique! What's your favorite accessory to spruce up or change the mood of an outfit?